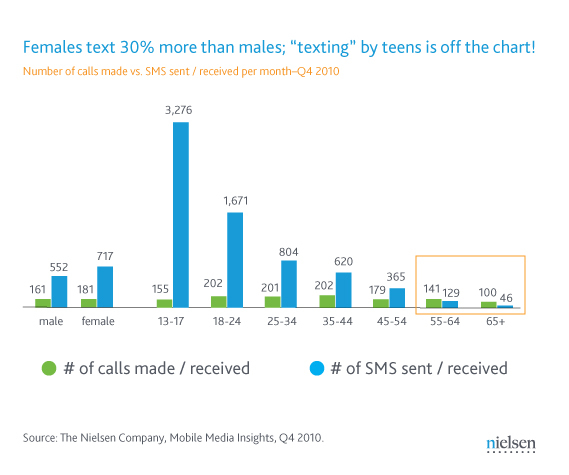 Last year I wrote about the tremendous volume of text messages sent by teens and it appears that the same holds true today. 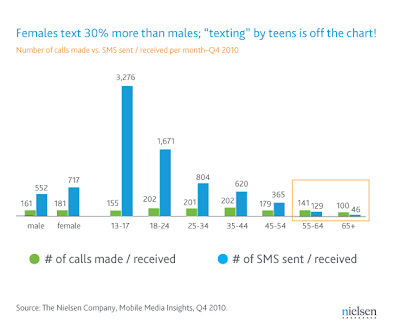 Data from Nielsen show that teens aged 13 to 17 send and receive, on average, over 3,200 text messages per month! 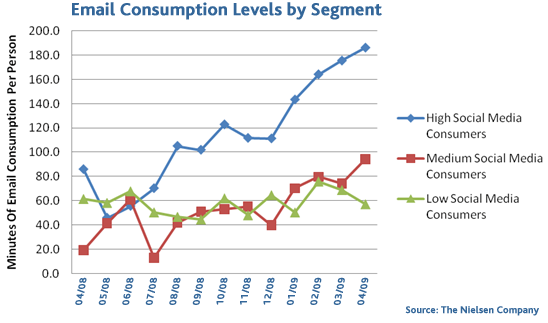 Looking at the Nielsen data it seem texting by all groups is high, but the data is consistent with statistics from the CTIA, the wireless industry trade association, showing that U.S. wireless customers used 2.1 TRILLION text messages in 2010. This works out to about 6,600 text messages per year for average person in the U.S. population of 311 million. Naturally, not everyone in the total population has a cell phone so the per capita usage is actually higher. To put average usage into context, it comes to about 550 messages per month (which is 18 per day). 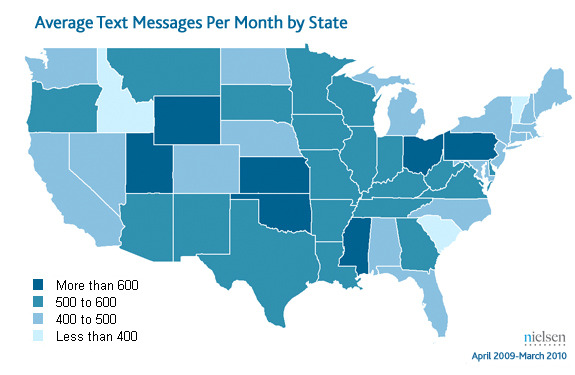 There is also an interesting dispersion of heavy text message users by geography according to another Nielson study. Text messaging has continued to expand in spite of the phenomenal growth in social network usage. Based on data showing heavy social media consumers send dramatically more emails than light users, they also likely send far more text messages.